Be it a collection of rare articles or wonderful and fantastic artwork, the beauty of such things counts only if the presentation is good enough. Presenting such items all over your house gives people an idea of your taste and preferences for such items. It also gives others a sense of your personality and personal choices. So try and be selective about the articles you display, lest people may become judgmental towards you. Decide what articles you really want to put up on display. A dog lover will love to decorate his house shelves with dog figures and plates. If you believe in Luck, Fate, Kismet and so, you may like to put up articles related to Feng Shui on your shelves. 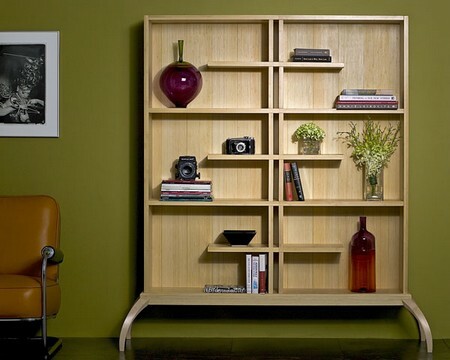 Give yourself a fair idea of what exactly you want to present on your house shelves. Take the space available into account. If you make your shelves too crammed up with all the articles, the whole effect will be ruined. Some of you must be particular about theme based article display, like all belonging to the same decade or made by the same artist. At other times, there might be a person in your family, who must have served during the war, and you dedicate an entire shelf to him and his heroic deeds. Just do not forget that if you plan to present articles likes guns, swords or other arms like these, you might make your visitors a tiny bit uncomfortable. However, if you still want to display these due to an emotional value attached, just make sure that the children can’t reach them and they are not loaded. The most important fact to consider while presenting articles on shelves is the space that you will leave between the articles. Articles with more or less the same height can be grouped together. If you present articles that are dissimilar, with each other, your whole presentation will look very untidy and unorganized. Take up a theme and abide by it. If your choice is Precious Moments, then present all of the Precious Moments figures together. Stick to this theme only as, if you try putting up dolls along with these figures, it will look absurd and funny. The articles you use must be spaced for amply. For a shelf that is smaller, use a gap of around one to two inches, while for a shelf that is bigger, leave a gap of a minimum of two inches. Measure the space between the various articles with a measuring tape. If you want to present sixteen articles on two shelves, you may either distribute the articles evenly between the two shelves or may use up one big shelf entirely for the purpose and leave the second for something else. Present your articles in a way that they are not only spaced but also do not appear to be crammed with many. Do the work with patience so that the ultimate result is nothing but wonderful.